In celebration of 50 years of the original COPO Chevrolet Camaro production race car, the carmaker has announced an electric concept version of the car with over 700 horsepower and 600 lb-ft of torque. ***UPDATE: Video of reveal added below. The Detroit automaker, best known around the EV community for the Chevy Volt and Bolt EV, is dipping their toes (at least as a concept) into the electric sports car with the eCOPO announcement. The car is expected to have a 9 second quarter-mile time although testing is still in process. If this is achieved it would blow away the quarter-mile time of the Tesla P100D and perform nearly as well as the upcoming Tesla Roadster. But not quite. We have seen plenty of conversions of Chevrolet Camaros and even more powerful Chevy’s such as the pricey Corvette Genovation GXE. Now that we have an electric Camaro concept from Chevy itself, we hope this is a peek at the automaker’s future product portfolio. We have been teased over the years by electric concepts that never made it to market. However, we did spot a decidedly Camaro shaped vehicle when GM announced 20 production EVs around this time last year. Perhaps there is hope that this one enters production. LAS VEGAS — Fifty years after the original COPO Camaro special-order performance models were introduced, Chevrolet’s eCOPO Camaro Concept demonstrates an electrified vision for drag racing. Developed by General Motors and built in partnership with the pioneering electric drag racing team Hancock and Lane Racing, the concept race car — based on the 2019 COPO Camaro — is entirely electric-powered, driven by an electric motor providing the equivalent of more than 700 horsepower and 600 lb.-ft. of torque. Chevrolet partnered with Hancock and Lane Racing not only for the team’s success in NHRA drag racing, but its involvement with Patrick McCue, the driving force behind the record-holding “Shock and Awe” electric drag racing car, and his Seattle-area Bothell High School automotive technology program. More than a dozen students participated in the development and assembly of the electrified drag car, with the racing team’s assistance. The electric motor is based on a pair of BorgWarner HVH 250-150 motor assemblies, each generating 300 lb.-ft. of torque, and replaces the gas engine. It is connected to a conventional, racing-prepared “Turbo 400” automatic transmission, which channels the motor’s torque to the same solid rear axle used in the production COPO Camaro race cars. The all-new 800-volt battery pack enables a more efficient power transfer to the electric motor, while also supporting faster recharging, which is important for the limited time between elimination rounds in drag racing. With the modules’ strategic positions, the eCOPO Camaro has greater than a 56-percent rear-weight bias, which helps launch the car more efficiently. The eCOPO Camaro’s electric motor has the same bell house mounting pattern and crankshaft flange as the popular LS-family engines in Chevrolet’s crate engine portfolio. That allows it to bolt up to just about any General Motors transmission. In fact, the transmission, driveshaft and other drivetrain components remain in the same locations as in a gasoline-powered COPO Camaro race car, meaning the electric motor simply bolts into the engine compartment, in place of the gas engine. The eCOPO Concept, shown in Electric Blue, joins the 50th anniversary 2019 COPO Camaro production race car and approximately two dozen additional Chevrolet concepts and show vehicles at the SEMA Show, in Las Vegas, through Nov. 2. 218 Comments on "UPDATE VIDEO: Chevy Camaro eCOPO Blows Away Tesla Model S P100D"
The Tesla Roadster (which I guess is also a concept) has a quarter mile time of 8.8 seconds… and it’s a four-seater. The Roadster is not a concept, Tesla is already bulding the tooling and intends to take it to mass production soon. Mass Production? Hardly. Volume production more likely. Tesla need to keep the numbers limited in order to justify the high price. Besides how many hundred thousand people can afford $200K for a car? The price is not high for what it will (supposedly) offer. I very much doubt they will artificially limit the volumes. Well, with an Official Count of 186,000 Millionaires (Not Counting any Real Estate Values), in Toronto, Ontario, Alone, so, no shortage of buyers! No, that’s the speed of light in a vacuum. Only if you’re using Imperial units. And who does that? Drug cartel big shots in the U.S. will love ’em. In fact, Drug cartel big shots every where will love ’em. Yes, Drug Cartel ppl will love em, just like others will. I mean what did you expect. That Cartel big shots would drive ford focus? Certainly not a Bolt or a Spark EV. I think one would have to be atleast a multi-millionaire to afford a Roadster. Unless they were stupid with their money. Which in that case they wouldn’t be a millionaire for long. It’s 10 percent the price of some of its competition. I wouldn’t say multi-millionaire, just upper middle class. 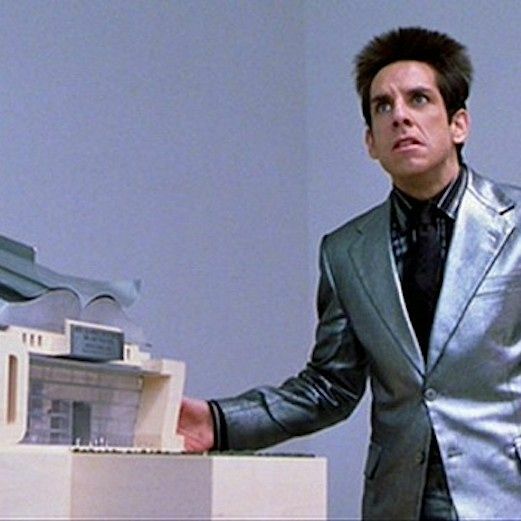 I wish someone could explain how making hundreds or thousands of one model of car on an assembly line does not qualify as “mass production”. I don’t get it. To me, “volume production” is exactly what the next-gen Roadster will not be, but it will be mass produced. Seeing as the Roadster costs only 1/3rd as much as it’s closest competitors, and those hypercars/supercars combined sell several tens of thousands per year, demand is not the issue. Even if Tesla produced 200 of them per week, they probably would still not meet demand. Yeah, if Tesla is building the tooling for the next-gen Roadster, then they’re being awfully secretive about it! In the 2017 announcement they said it would heavily draw from Model 3 parts(motor/drive units, battery cells/modules, and AFAIK also frame/chassis parts). And the tooling has already been built for Model 3, so on at least some level there is some overlap between Model 3 tooling and Roadster tooling. The Gen2 Roadster is a 4-seater? Not from the pics I see. There’s seats behind this guy? Yikes. What is this? Back seats for ants? So what. This makes more sense than the roadster. It’s a one off research vehicle that’s going to be used for drag racing, and drag racing only. 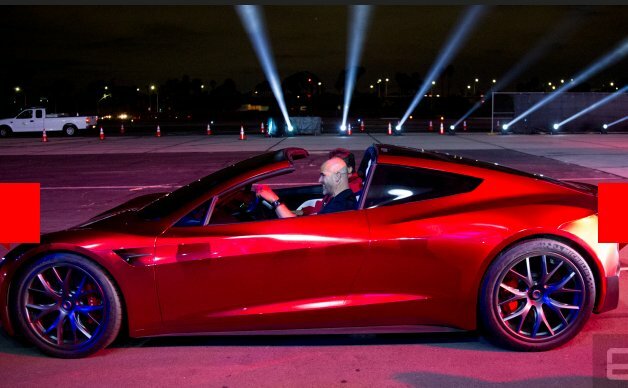 99% of Roadster buyers are never going to take their car near a track so they will have a car that’s carrying around an extra 3/4 of a ton of batteries that they will never use because you can’t go 200MPH on a public road without going to prison, a 0-60 in 1.9 seconds that you wouldn’t dare try on a public road, and a 600 mile range when nobody needs more than 350 or 400 miles. A 600 miles EPA range is about 300 miles Autobahn. On a road-trip charging only from 10% to 80% (or less) that leaves 210 miles realistically. In the USA highway driving will be a bit less high-speed, but when you are planning a road trip with multiple legs per day, use half the EPA range per leg. A four seater? Not really; it’s a 2+2 seater. You won’t be able to get two full-sized adults in the back any more than you can in the back seat of an MG sports car. What a shock! A purpose built drag racer theoretically can beat a large family sedan in a drag race. Imagine if it was built to actually take full advantage of electric motors. So, why are commentators oftentimes threatened by anything which might beat Tesla (which is a commercial brand, not a religion)? If Chevy make a fast EV, this is good for EVs, and it will result in a lot of cool YouTube videos promoting EVs. Don’t forget the political tribalism as well. Putting that aside, the reason why GM is laughed at is because of the joke they have become due to their effort at trying to kill EV’s and Tesla. They thought putting out the Bolt a year or so earlier would kill the desire for the Model E. They now show a beefed up EV Camaro and pronounce ‘Hey look we can beat the Model P100D’ as if they are somehow superior. So, Tesla fanboys are not threatened much by a loser/ignition people killer of a company like GM, or a cheating/exhaust pollutant people killer like VW. They just know a legitimate for the people company that truly is trying to do something good and is not in the pocket of the oil companies. …because the entire premise of this article is “Chevy is going to beat Tesla”. So why wouldn’t Tesla enthusiasts be encouraged to retort? Every major manufacturers seem to always compare their widget to Tesla but at the end of the day they fail to deliver or are vaporware to begin with. It used to be Tesla ‘who?’, now it’s Tesla benchmarking. Keep going and appreciate your efforts writers and OEMs, but stop attempting to bring Tesla comparisons too early, it’s getting embarrassing for you. I love that the Model S P100D is the BEV benchmark to beat, and even happier that Detroit is finally trying to compete in the BEV space, more than just the Bolt and Volt which don’t get me wrong, they are good but hardly mass market and more niche than what they could have done. I think this new model is a good move. It’s specifically stated in the title and he’s pointing out the obvious. And furthermore, my Gulfstream G500 blows away your Cessna, etc. etc. etc. —- Yawn! This is a one off conversion built specifically for one reason. There nothing threatening about about it. If it happens it will be great. It’s somewhat disingenious to compare a concept to a production vehicle from a different vehicle class. That’s where the reaction is coming from. Yea, what happens if you deploy the parachute (see rear end view) on a public road. Is this Camaro (which is only a concept car) even meant to be road legal??? I would be ok with one of these in my driveway. It would absolutely destroy my neighbor’s Challenger. The electric sports car needs to arrive already! I don’t know about that. If the S can do low 2s what the hell should we expect from the ev sports? I’m too scared to think about it. The S is a large sedan, not a sports car. I want a two-door coupe, preferably light-weighted. Either a 2-seater or a 2+2. A sports car is more than just specs. Heck, I would be satisfied with Bolt-like performance in a sports car package, so long as it was affordable. 200HP in a RWD coupe with 200+ miles of range for $40k? Yes please! Yup. Physics is a real pain sometimes. But you could trade-off range (energy density) for power (power density). Look at how many conversions use Volt batteries with a Tesla motor. The BMW i3 is a nice package. As a mega-city car, it excels. I hear it even has typical BMW feel for the driver. I’m still looking for something quite a bit lower to the ground myself. Something that connects the driver to the road, not something that leaves you feeling like you’re sitting on a bar stool like an i3. I’m not sure why my first reply got moderated away. Yes, the i3 is very nice. And it drives like a BMW should. But what I really want is the sports car package. Low to the ground. and a B-pillar far enough back that my elbow isn’t pushed forward when I rest my arm out the window. The i3 does NOT have 200 miles of electric range and the tiny range extender engine is not sporty… Besides, the Model 3 handles better and is cheaper new. Those specs are terribly modest and yet still expensive. It’s like you’re saying you want the car to be too small for four adults no matter what, but why? I totally agree, we need something in the affordable sports car segment, but it probably won’t happen until all the soccer mom SUVs have saturated the market. All you have to see is how many Miata’s get sold vs. minivans, SUVs etc. There is little volume market for an affordable sports car. Usually when you want affordable, you also want practical. When you have cash to burn and have multiple cars, that is when a sports car makes sense. It already has… Just look at Rimac. Rimac builds “hypercars”. These are playthings for the rich and famous. The electric version of a Lamborghini. That’s great. I’m glad they make them. But that’s not the market I’m in. The Camaro is a much more mainstream car. Give me an electric Camaro, Miata, or similar. That’s what I want. Tesla Roadster is Great & Does it All ! Cheaply ..Those $Million$ Cars Are Built For The “Look At ME” Center Shot People . I wouldn’t Get Caught Dead In one of those Goofy Looking Show 0ff Cars.. I Made that Mistake When I Younger & Foolish …Never Again. The new Tesla Roadster (which is not a roadster, which bothers me) is an incredible car. But it hardly does it “Cheaply”. You are kidding yourself if you think $200k+ is cheap. Maybe compared to a Rimac. That’s still supercar / hypercar territory though. @Brian….So you would buy one for cachet and curb appeal only? Would the normal Chevy transmission be able to handle the instant torque of an electric motor? Most conversions I have seen so far leave the original transmission in place… Including the concept in this article. They leave the original transmissions in place because it is far simpler to do that… And most people don’t use Tesla or Leaf motors, they are using HPEVS motors that only go to 6500RPM, and Warp DC motors that only go to 5500RPM… In that case, you need at least 2 speeds if you want to go more than 65MPH. Transmissions improve performance, that’s why electric race cars have them. They may not be necessary for excellent performance, they may not be worth the efficiency hit, and the added manufacturing cost may not be worth it; but there is no doubt that allowing the motor to stay in it’s power band will improve performance . That’s old thinking. ICE engines have a narrow powerband. Electric Motors have a large, flat powerband. I bet they used the transmission because it was a conversion and the transmission was already there. Converters have to work with the physical limitations of the car. Matching the power to the transmission is a natural limitation. But, the conversions doesn’t have to use all the gears, especially 1st gear. Look at a Model 3 or Model S dyno curve, the torque curve is flat until higher RPM but the powerband isn’t (because it’s proportional to torque multiplied by RPM). That’s why the Model S P100D often has a lower trap speed in the quarter mile than ICE cars with similar power to weight ratios. Again, a transmission may not be worth the costs (efficiency, money, reliability), but there is zero doubt that it improves performance. Answer me this: if transmissions in electric cars aren’t necessary then why are Formula E cars running 3-4 speed transmissions? Why would they carry around an extra 90 pounds that could break if it offered no benefit? Transmissions in the Roadster 1 were breaking all the time because of the instant torque. What is needed for EVs is a 2 speed transmission that will last years on normal (and abusive) usage. It would be necessary at higher speed only : to beat the quarter mile, and for improved range/efficiency on highways with no speed limits. I think that had more to do with Tesla’s knowledge of tranmissions than the ability of a transmission to work in that application. Then why is it that no production BEV has a multi-speed transmission? Well – wait a sec. No production BEV even tries to have high performance except Tesla. Transmissions certainly could help at track speeds. But as stated, probably not worth it in most circumstances. Not all Formula E cars are using multi speed transmission. Set-up vary, and if I remember correctly, some team use straight reduction gear, some have twin motors config and some have 2-3-4-5 speed transmission. Maybe because EV race car engineering is still in its early stages? Here’s a question for you: Why is the number of gears in the average Formula E car getting lower every year, if multi-gear transmissions are such a great thing for EV racers? Formula E has a top speed of 140mph. That is why you probably can get away with an ultra wide band motor but losing efficiency at the high end of the speed spectrum. If you want high top speed, then having at least 1 more gear would help with that. They have flat powerbands but their efficiency suffers at the bottom or top end depending on how they are tuned. A simple 2 speed transmission would do wonders for most EV’s. There’s a reason why Tesla uses two motors in their performance cars tuned differently. That works great when the cost of your car can support the added cost of having a second motor (controllers, inverters, cooling, etc…). In a lower end EV say $20k it would allow you to use a motor that by itself might not have a huge powerband but mated to a 2-4 speed transmission to make it more than exceptable. I believe the Tesla roadster (new one) will have a two speed transmission to allow super acceleration and a very high top speed (200+). Hmmm, I’m not so sure. The trend in Formula E has been toward fewer and fewer gears. Now, maybe they won’t eventually get down to just one… but maybe they will, too. For example, the Wrightspeed X1 electric racer has a transmission, inherited from drivetrain of the ICEV it was modified from, but that transmission was stripped down and locked into a single gear. The hookup for this is for GM LS motors which is their small block V8 engines. A number of those transmissions should be able to handle the high torque. GM also sells crate high torque transmissions. I would love to build an electric Tahoe. This could also be used to make an electric pickup truck. An Un-needed Automatic Transmission In An EV Makes No Sense at ALL ! Just Extra Parts To Break. I have doubts Chevy will sell conversion kits… They’d like you to buy new cars instead. im hoping they sell it! if they do, my turbo s14 will be converted to an EV ASAP! I find it interesting they went with a standard transmission. The idea of a motor assembly that has the same bell housing bolt pattern is interesting, but I question how often using an actual transmission would be required. This is a disappointing low tech conversion. I am amazed it works as well as it does. Utilizing the same automatic transmission drivetrain is just dead weight. Should be 4 wheel drive with motors close to wheels. Sounds like it has to be recharged for each race. It might be dead weight but think of the cost and complexity you added by including 4 motors (inverters, controllers, coolant). And it still will not make the motors more efficient at high RPM. That was my take as well. They used the existing transmission/drive train which left them at 2WD. If you’re gonna make a competitive dragster, you need AWD nowadays. This thing could scream if it drove all 4 wheels. The second image seems to be showing a tire burnout at a drag race. In the Tesla Racing Channel on YouTube the driver of a P100D carefully avoids water pit and relies on brilliant traction control. If you are able to have full grip all the time, that means you can put down all the power from start to finish. A tenth of a second of power loss (for traction control) may be the difference between a win and a loss. I can tell you’re not very familiar with drag racing… If you are not relying on AWD to launch from the start, then a burnout to heat the tires and improve grip is absolutely recommended (assuming you have a tire compound that is capable of holding enough heat to make it worth while, ie: Drag Slicks/Radials). AWD cars rarely have the capability to spin all 4 tires, at least not enough to heat them effectively. So if you Don’t have the capability to do a proper burnout, then avoiding the water is the best option. Why do you think the 10,000hp Top Fuel Rails use burnouts before every single race? The reality is that the Tesla could benefit from a burnout too If it had the option to disengage the front wheels for a rwd burnout. Launch control is a psuedo solution to not having enough traction for your power level. As Victor said, It decreases power so you don’t spin the wheels and lose grip. So if traction loss is an issue, why not increase traction instead of decreasing power? 800 volts huh? I’ve often wondered why manufacturers are sticking with battery packs in the 300-400 volt range. I mean, theoretically higher voltage is more efficient and allows for smaller wires and less heat generation. But I’m sure there’s some physics reasons why they have stuck with the voltages they’re using now. So can anyone enlighten me as to how that works? It has to do with vehicle charging. CCS1 was limited to 500VDC max. CCS2 can do up to 1000VDC max. Note the 800VDC is likely a nominal pack voltage so a battery like this would likely see charge voltages as high as 900VDC. What’s more, the 800 V Taycan can supposedly charge from 400 V stations. Are they using multiple battery modules like this one? If so they may have a system that switches between modules when charging at lower voltages, rather than all at once. Back when the early Model S was designed, switching transistors that could handle an 800V pack were rare and expensive. 400V was more or less industry standard. AFAICT all Superchargers are fixed voltage (this based on the fact that it is expensive to build a charger capable of varying voltage and Tesla Superchargers are cheap). Tesla needs to move up to 800V for the Semi and new Roadster, but the main problem is building all new Superchargers to go with them. I wouldn’t be surprised if the existing ones will remain but new ones capable of putting out only 2 fixed voltages (400V & 800V) will start appearing someday. Yes the Taycan has interconnects to treat it’s battery pack as two 400V packs in parallel to charge on lower voltage DC fast charger. I suspect going forward this will be the new normal for battery pack design. I’m no electrical engineer, but from what I’ve read, above ~600 volts you start getting problems with the current jumping spark gaps. Of course high voltage systems are (obviously) possible, but the engineering required is perhaps more difficult and/or expensive. That said, my guess is that much or most of the EV industry will move to higher voltage within the next few years, to make shorter charging times easier to engineer, and cheaper to build by using smaller diameter cables. 800v might become the industry standard. If I recall correctly, the Tesla Semi Truck charges at 800 volts. I thought the Semi charger cable was just 4 Supercharger cables, but with the DC pins connected in parallel? Of course, it’s possible that it’s just because Semi is still in the prototype phase and they needed a quick way to charge it without having to deploy a bunch of new equipment. Things I have seen brought up in other discussions include need for better isolation, and (probably more significantly) more expensive power electronics. I guess there might also be additional safety considerations? Same reason why car systems work off 12V, rather than 48V. But they’re working on higher voltage. Higher voltage allows for faster charging and high performance. Low end will be 300V-400V. High end will be 800V. Then, hopefully, the high end will gradually move lower. Did indeed. 😉 Also removed my redundant “future”. Thanks! Bitchin’ Camaro! I believe the legacy auto companies who will be most effective at competing with Tesla are companies who have CEOs with an engineering background. Mary Barra is an electrical engineer. Yup the engineers are now in charge at GM. GM used to be run by finance and accounting types. It nice to see the engineers back in charge. Who gives a s&%*? Make a real car that people can buy! I think my main complaint is the gap between the headline and the article. The headline promised something the article didn’t deliver. And it’ll have a range of…80 miles? I doubt it. In order to have enough amps for that sort of horsepower, it would need to be a big battery. that’s like a couple hundred 1000′ runs (and back)!! At constant speed, yes. Actual races take a lot more energy. Where did you get your made-up number? According to the press release, it has 4 modules, each weighs in at 175lb’s…. So the total weight of the battery is 700lb’s. Assuming the same 11.9lb/kWh as the LG Chem batteries in the Bolt EV, this works out to a capacity of 58.8kWh…. So, in normal driving it should have a driving range of close to 200 miles(it’s not designed with aero in mind). Also, 58.8kWh is very close to the Bolt EV’s usable range, I would not be surprised if this is just a normal Bolt battery reconfigured for higher voltage. Well of course your imaginary car beats the Tesla. This car actually does exist. Oh it’s been tested just not yet in public. Imaginary car? See: $35k Model 3. The car is real, but the price isn’t…yet. YES, yes, yes!! Bring it on Chevy!! Awesome that they’re even talking about this… future looks electrifying!!! What’s the point of the grill on the front of the car? Does it have an engine? The grille is there, as always, because of branding, and because a long time ago manufacturers used to have problems cooling their engines. And now they have problems cooling the battery pack, when a car is run at high speed on a race track. Not saying the grille on this car is practical… but it could be. And they don’t want to make all their ICE cars sitting at dealers to look outdated. That is not a reason for it to STILL be there. electric motors, inverters, battery and climate control all need cooling. GM should better focus on bringing the next Bolt to market. The 800 volt battery is the biggest takeaway from this e-Camaro announcement. I bet you the e-Camaro battery tech is a guinea pig for future GM BEVs. Excellent point, bro. Plus an 800V battery can charge twice as fast with the same current, just like Porche is doing. Sure looks like more that just a show off project. Yes, I also find that the most interesting thing. It’s worthy of discussion to think that GM, as well as other EV manufacturers, might be seriously considering moving to 800v EV powertrains. Luckily GM has more than one employee so they can do several things at a time. Things like this help them with research. I absolutely like that! Even the crazy cars built by crazy petrolheads are EVs. As far as I can tell, they never claimed or even hinted they are trying to beat the Model S… That’s just a clickbait title from InsideEVs. The insecurities are all from the Tesla fanbois. They have to come on and bash the Electric racer. The so called “beating” is only suggested by inside EVs to get all Tesla fanbois all worked up to increase the comment count. Looks like a great car, kudos Chevy. That said, I love it when the media compares a concept car that may or may not be coming out years for now with a production car which Tesla has had on the market for years. Like Tesla doesn’t innovate or change too. How much, how many and when? It’s a concept car. Not intended to be more than one. I guess it gets tough watching your very best muscle cars that are barely road legal get blown away week in week out down at the drag strip by weekend gigglers in four door family guy saloons. How embarrassing! The “WTF” grille of the 2019 Camaro? I can understand if you think THAT is ugly. Luckily, GM is changing it for 2020. It’s Lexus like type of grill….too big but not uglier than usual grills. So I would like to see a poll. I will join in the ugly pile – but I have thought all American muscle cars are ugly because of who they tend to associate with I suppose. A poll would be interesting. But on this forum, it would be insanely biased. When I say that you and Jeremy are in the minority, I mean of the general car-buying public. After all, isn’t that who we want to persuade? Not nearly as ugly as the Model X. But Model S is better looking than this one. Damn, I just replaced my tires last month and they’re already bald. So does this count as one of their new 20 EVs in 18 months GM boldly announced 12 months ago? I sure hope so. The article includes the same picture that GM released a year ago. One of the cars in the background has a distinct Camaro-like shape. Doubt it, but I bet the e-Camaro is using tech that will be in those EVs. Maybe it will be one of the 20 electric vehicles they are coming out with within 4 years. One word … or two … BAD A$$ !! Yay! GM reads my posts on InsideEVs! I hope it goes to production. I hope it is less expensive than the Tesla Roadster. I hope it comes in that blue, and I hope they sell 30,000 a year in the US. Watching the reveal, it was a one-off build for limited use, with the shut-off lever and laughably analog voltage indicator, slick tires, needle gauge, as well as the ol’ batteries stuffed everywhere technique. I feel like this is GM saying “we can beat you Tesla, if we wanted to, but we don’t care to get involved. Look at our Hot Wheels branded pick-up truck and bad-to-the-bone riff track theme music.” GM is doing this as a drag racing showpiece and not a car to be bought. Someone within the GM family will buy the eCOPA to make it an official production (only one was ever made) car, but this is for the GM history lessons, not the consumers. The evidence that is most condemning is the announcer bleating “what you really came to see was” and then the pick-em-up truck rolls in (again, with aggressive yet tired theme music). Second to that is the vehicle revealed at the Specialty Equipment Market Association event. The eCOPA is to show-off their transmission and that’s about it. Good for Chevy. At least for once we’re being shown a concept car that actually exists in the real world and isn’t just a bunch of high-end 3d renders. What’s the price comparison/price as tested? It’s a concept car. Engineers don’t worry about unit prices when building concept cars. With skinny front tires, the moment you try to turn it’ll understeer and crash. What’s the point of buying a car just for going in a straight line? It’s a drag strip car. No turns needed. Funny in the video they say ” 800 volts”, same strategy used for electric tools and lawnmower as if a higher voltage equate highger power, no power = watts= volts*Amps (pretty sure somebody will talk about power factor, but not relevant here). Much harder to double the current on the existing motors, but easier to double the voltage. Also, torque usually correspond with torque and voltage usually correlates with speed or rpm of the motor. Higher the voltage, the higher the power rating of the motor at higher rpm. I hope they make this! Imagine how pissed off the fast and furious wannabes will be when this thing silently blows past them on the freeway! This kind of deserves a one handed clap. On one hand it shows some effort on GM’s part to demonstrate the future of… drag racing. On the other, they are comparing a purpose built drag car to a standard production 5 passenger street legal BEV with a range of 315 or 507km. And Tesla has achieve this all in house. This would have made for a better story if Chevy had a Camaro or Corvette BEV. Even a sporty version of a Bolt. At least that would have represented something real. Nope. GM didn’t compare anything. Inside EV’s made the comparison. A high cost, non-practical demonstration of an EV motor/battery shoved into a body based on a 50 year old style. If this gets gear heads to start thinking about EVs then it’s a good thing, because this type of smoke show is the only thing that gets their attention. In the meantime, while GM is playing at the drag strip, Tesla and other forward thinking automakers are working on advanced EVs for the masses. Without all the free publicity youtube video that promoting the Tesla performance, Tesla wouldn’t be where it is today. Awesome! Make it and sell it! This is a one time conversion its nice but no way would it be produced in mass. Correct this is simply a show of technology. The big story is that GM might add this to their crate catalogue. Even for the gas COPO GM is only building 69 units this year. When the Camaro has a firm production date Tesla will change the P100D over to the new batteries. And blow the Camaro away with the P110D. Tesla does not like second place in the 0-60 race. This is not meant to be a production car. It’s simply a show of technology. The big story is that GM might add this to their crate catalogue. Even for the gas COPO GM is only building 69 units this year. Eventually when the next generation Camaro and many other cars are shown some of the technology in those cars would have evolved from this. Wow, it’s “muscle” cars for smart people who believe in physics! Better than to race it against the P100D. Race it against all of those ICE models of this car, the Mustang, the Challenger, etc at the drag strip. Show them that they should start saving up to trade their cars for EV’s than dumping any more money into their ICE. If GM builds this car SOON, with fast charging, we will FINALLY, have our first tesla killer. Of course, it will be the end of ICE versions of Corvette, Camaro, Chargers, etc. OTOH, it will help bring back sedans, muscles and pony cars. Hopefully, GM is bright enough to bring it out by 2020. Good news for earth. Get rid off those smoke monsters. The headline is a bit misleading since the concept hasn’t actually beat the P100D quarter mile time. it’s just what GM is hoping for. Then there is the comparing a larget 4 door family sedan against a sports coupe. The Roadster at 8.8 seconds would be the right benchmark. This makes me happier than ANY car Chevy could’ve announced. They need an absurd halo EV to move the needle, not another banal grocery-getter. Bravo Chevy. Keep ‘em coming. It is 2018. Stop with your bogus EV concept cars. And if you are going to build an EV then GET RID OF THE GRILLE. FFS, figure it out. This was a collaboration with college students and an aftermarket company. It’s a real car and showcasing 800V technology. Pretty cool.